Mark Zuckerberg and family in Halloween costumes. A family of Vikings, a sheep and one adorable little dragon. 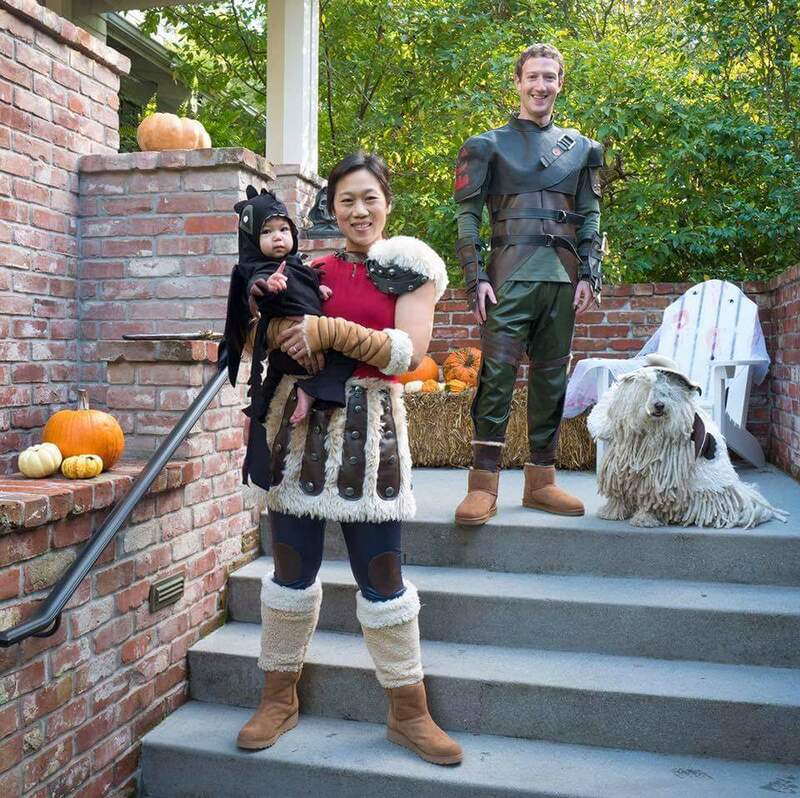 Mark Zuckerberg, CEO of Facebook Inc was pictured in Halloween costumes with his wife (Priscilla chan) and son (Maxima Chan Zuckerberg) ... he tagged this one "family of Vikings, sheep and one adorable little dragon". 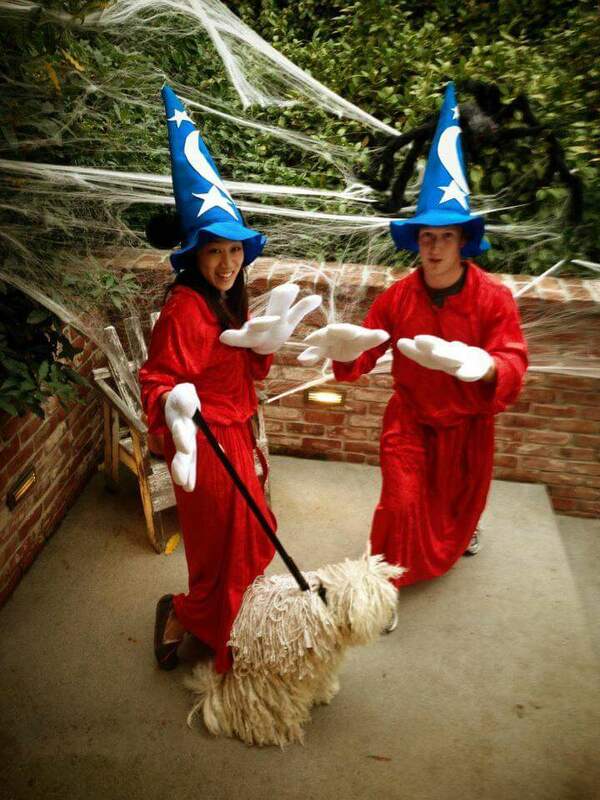 A sorcerer Halloween costume and a mop stick with Priscilla Chan, both depicting the Sorcerer's Apprentice... and guess what, he called it his favorite Halloween costume.